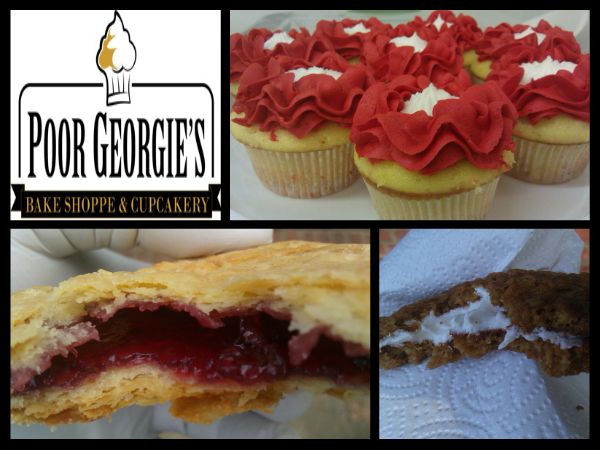 Poor Georgie’s Bake Shoppe & Cupcakery is a great source for customized cakes, cupcakes, and other sweets made from scratch using the finest ingredients and tailored to your exact specifications! They are part-time SOJ vendors and can also be found at the West End Farmers Market and the Carytown Artisan Farmers Market. 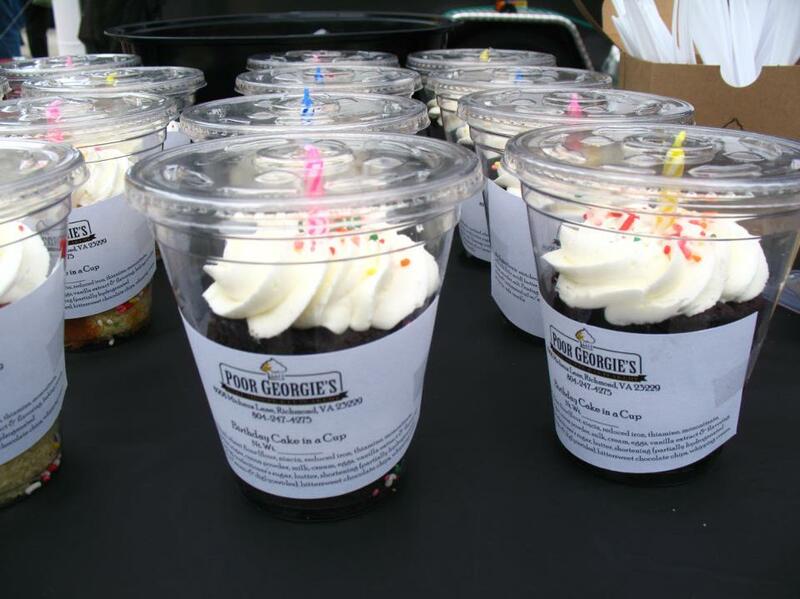 George wants to personally offer a Killa Vanilla Cupcake to anyone who Shares, Likes, or Comments on this post on GrowRVA’s Facebook page, so spread the love and enjoy a cupcake on Poor George! Our Cupcakes are the most popular but our “Cake-in-a-Cup” and retro snack cakes have caught on fire this year especially. Those items are such a hit because they’re nostalgic. The rich recipes seem to zap you back to the time when you were given your first. Poor Georgie’s has been in business since April 2009. The one thing that always surprises people is that Poor Georgie’s also delivers anywhere in the Richmond/Henrico area. And if you place an order at SOJ or mention that we spoke there, we waive all delivery fees (a minimum does apply). I have no idea where I’d be without Phal’s springrolls when I completely crash and breakdown at about 10am. Sometime’s it’s a fish taco from Boka Truck washed down with a Limeades & More drink. And on rare occasion, you will bite into one of our very own oatmeal fruit bars containing preserves from Empress Farm. A typical market Saturday for us actually begins on Friday afternoon. Where we bake feverishly and cool down with a big frosting party at about midnight. Then it’s down for a “power nap” and back up at 5am to package and sneak in another batch of cookies. We pack the vehicle at 6:30am and arrive at the market about 7:15am. Then with lights … camera … action, we are always ready for our close-up at 8am.